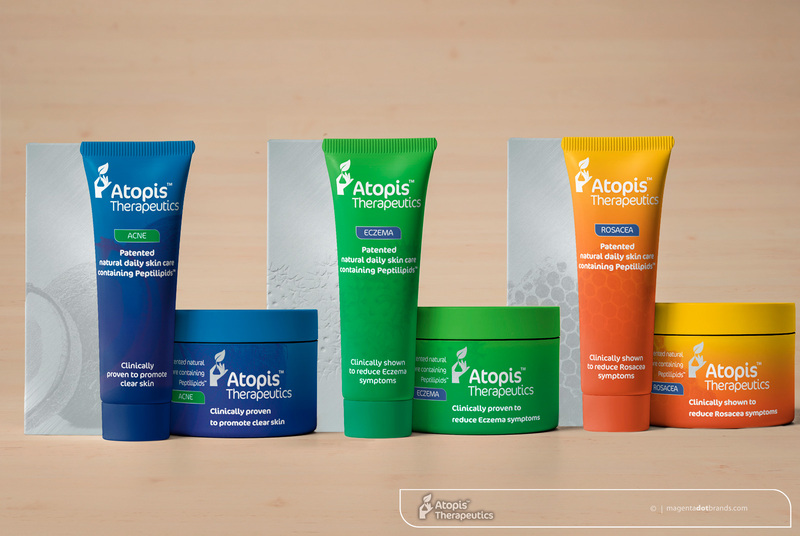 When offered the chance to design branding and packaging for Bionona’s new Atopis™ Therapeutics daily skin care range initiative, I leapt at the chance to develop a New Zealand biotechnology firm’s groundbreaking product for the therapeutic and consumer markets, and.because it was an opportunity to collaborate with the biotech scientist Iona Weir, who discovered and developed the novel compounds that are the active ingredient—research scientists are pretty much heroes of mine. 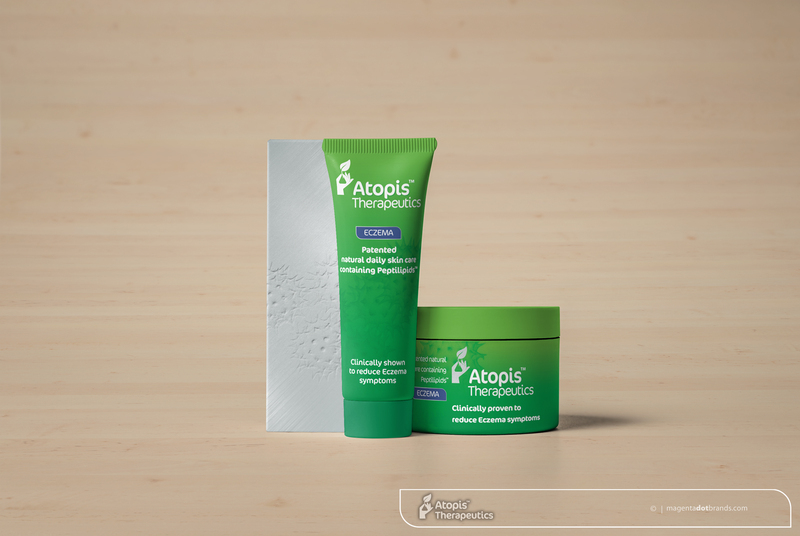 Atopis™ is a clinically proven, patented, therapeutic cream specifically designed for the long-term safe management of skin conditions usually managed with steroidal creams, such as eczema, psoriasis and acne. The bionona logo is simple, bold, works well in all sizes and it is appropriate for the business. The symbol is an actual snip of DNA from one of their proprietary peptides. The ”Transforming ideas in health” positioning statement idea emerged out of the logo research and brainstorming phase of the logo design project. The logo design brief stated that the logo should be consistent with the Decima Health brand designed for Bionona in 2012, and tie into the themes of “natural” “healthcare” “biotechnology” the packaging design had to tie into those themes and be finished with an upmarket gloss. In addition to the therapeutic range the illustrative packaging design included an Anti-Aging, beauty product. 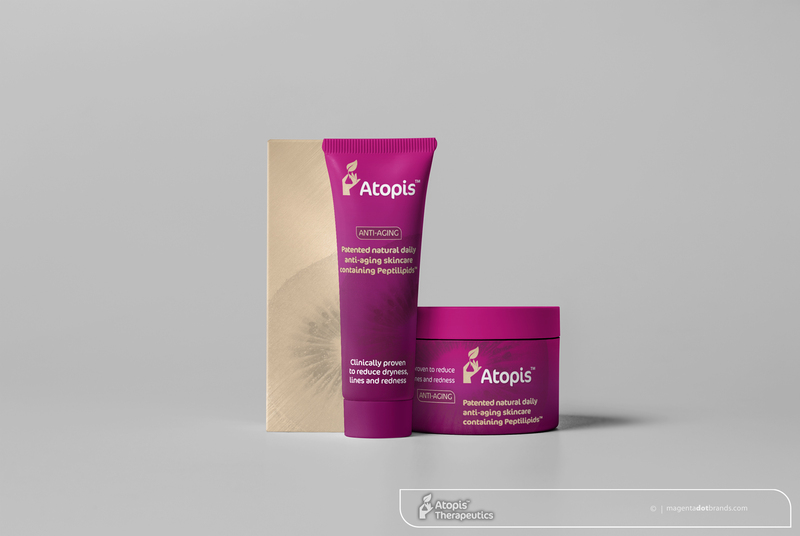 Iona extracted the novel active ingredient compounds from sources such as kiwi fruit, coconut, honey and pollen, these ingredients provided inspiration and the theme for the packaging’s clean blend of clinical and botanical elements. 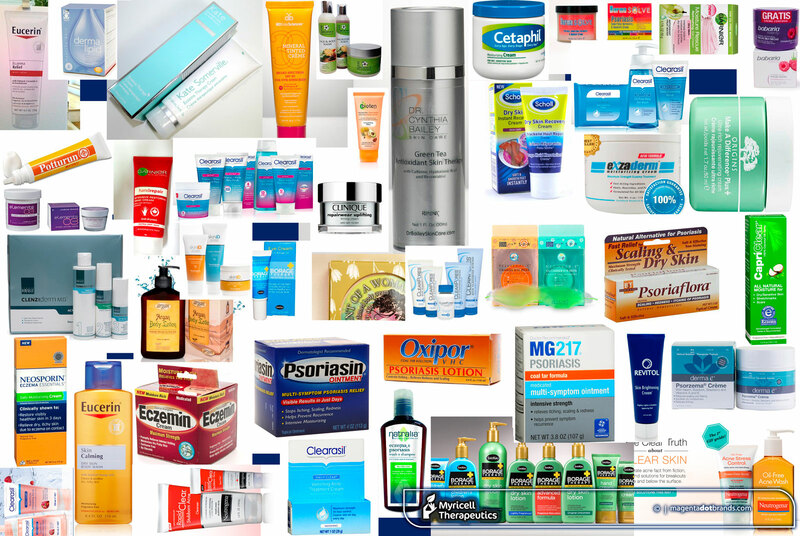 Atopis Product pack research chart. Core to MagentaDot Brand’s packaging design research methodology is the essential need to understand the brands that compete for the shopper’s attention and whether they will be able to quickly find your brand. It is an iterative process of create, test, refine through the design and development process. The vibrant and healthy image projected by the packaging contrasts vivid colour tones aimed to distinguish the product range in the competitive retail environment. A broad and detailed study of competitors products lead to the lively and sometimes brilliant contrasts when the colourful product range is displayed together.